This mala contains 108+1 8mm original moonstone crystals strung in a waxed thread with gold and pearly white tassels. 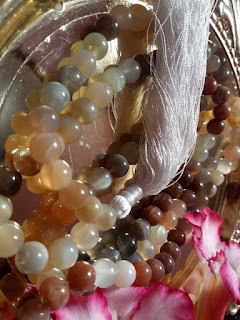 This mala contains 108+1 8mm original multi-hued moonstone crystals strung in a waxed thread with gold and blue satin tassels. 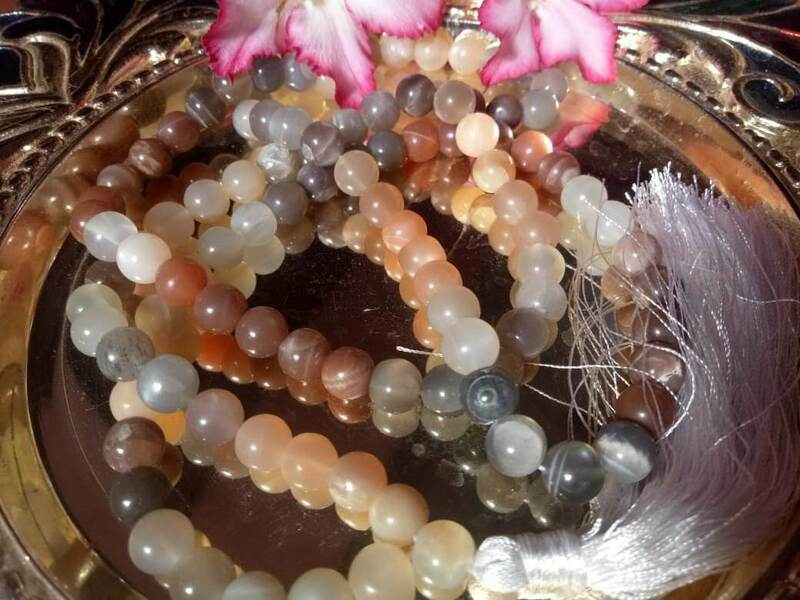 The moonstone is known as the Divine Feminine element that portrays the grace, strength and divinity in women. It celebrates the inner nurturing, loving and compassionate nature in you when worn or used for meditating. 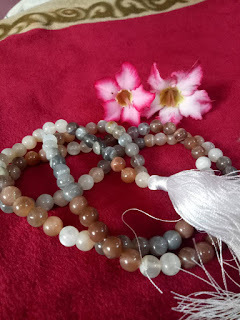 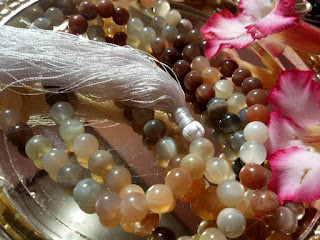 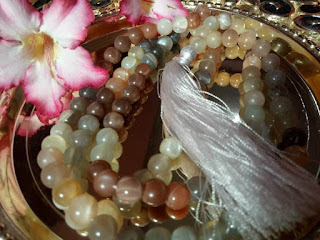 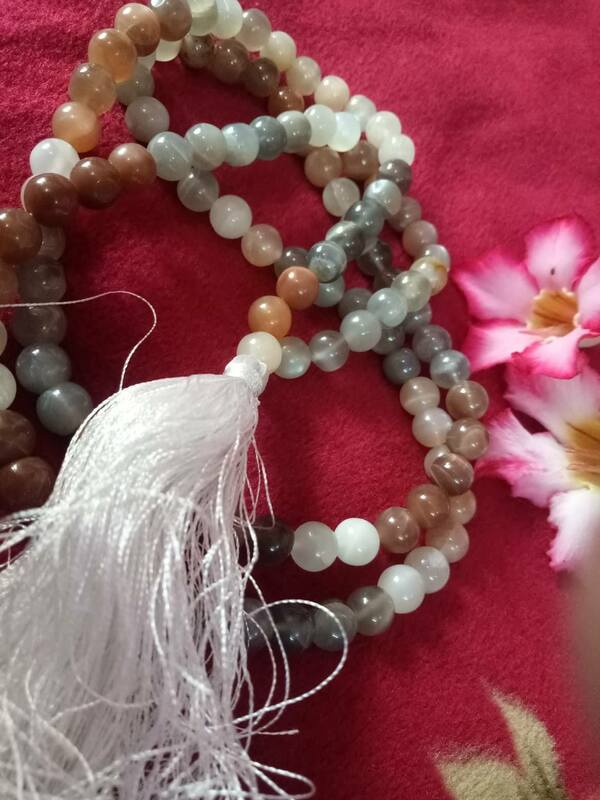 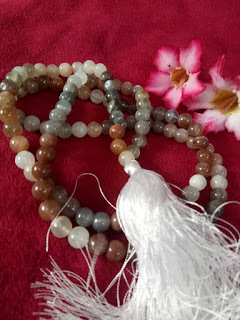 This mala contains the pure celestial energy of the higher dimensions/angelic vibrations as well as connect to the Ascended Master Quan Yin. The pearly flashes in the mala exude a vibrant and surreal vibration that will leave you feeling calm and tranquil.